When the winter months roll around and the holidays approach, what better way to celebrate than around a table featuring Santa’s most beloved reindeer. 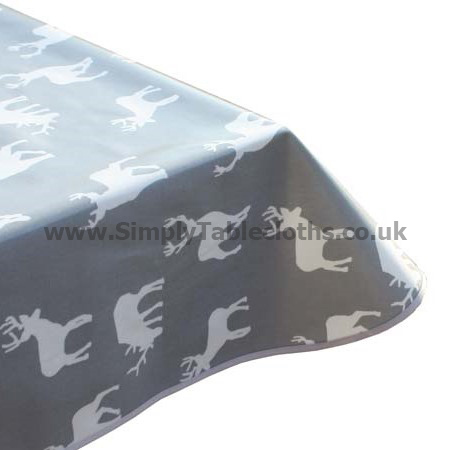 In a chic and trendy way, this deer-patterned tablecloth brings the joy of Christmas to your family. Also perfect for the avid outdoorsmen and hunters, this tablecloth would be a great fit for year round use in a hunting lodge or cabin setting. The wipe clean surface makes it easy!